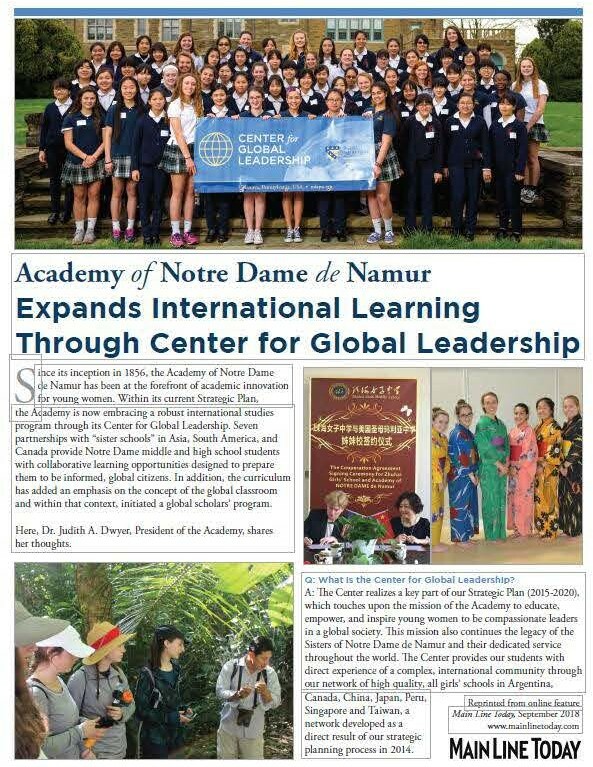 The inauguration of Dr. Judith A. Dwyer as the 4th president and chief executive officer of the Academy of Notre Dame de Namur, a Catholic, independent, college preparatory school for young women grades 6 through 12, was held Friday, Oct. 3. 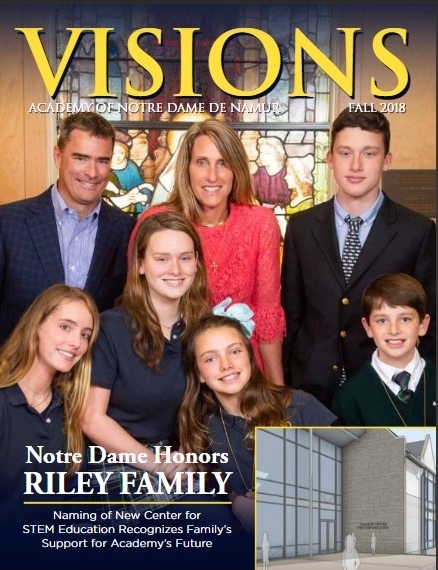 Board of Trustee members, Sisters of Notre Dame, distinguished guests, community leaders, parents, faculty, staff and students were in attendance. 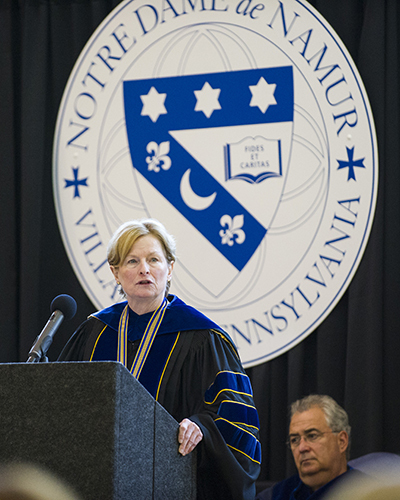 The inaugural activities featured welcoming remarks from Sister Nancy Bonshock, SND, the Presidential Medallion presentation and investiture awarding by Mary Ellen Maggitti, chair of the Board of Trustees, performances by the school's Women's Chorale, and a keynote address from The Rev. Peter M. Donohue, O.S.A., Ph.D., president of Villanova University. "There is excitement in the air today as our community inaugurates Dr. Dwyer," said Mary Ellen Maggitti, chair of the school's Board of Trustees. 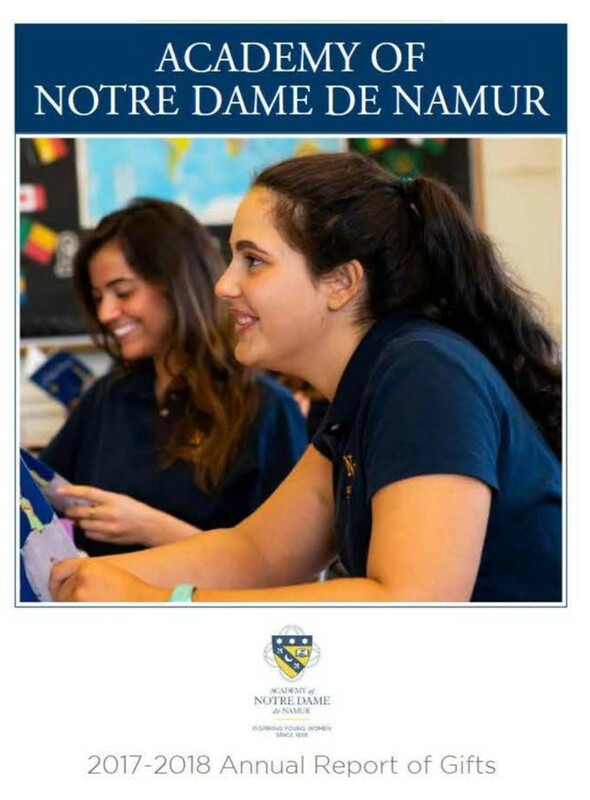 "Her substantial prior experience and superior qualifications have already generated positive momentum at Notre Dame. We look forward to solidifying the Academy's commitment to excellence in education under her leadership." 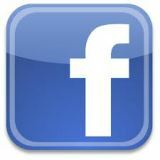 Dwyer began her tenure on July 1. Recently, she served as chief academic officer at Bisk Education, Inc., a leader in online education, and formerly as president of Saint Xavier University in Chicago. Prior to her presidency, she served as executive vice president and CEO at the University of St. Thomas (MN), academic dean at St. John's University (NY), and assistant academic dean in the College of Liberal Arts and Sciences at Villanova (PA).